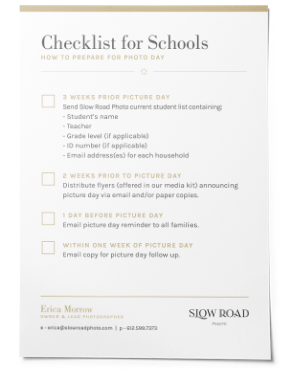 We know that communicating all the details of school picture day with your families can feel daunting. There's a lot of information to share! We've put together these resources for your school to help communicate when picture day is coming, what/when you should email your families, what students should wear—and so much more! If you have questions, email us, anytime! With these few simple steps, and our ready-to-go resources, this checklist will help you internally at your school to be prepared. We offer 2 flyer options: one customizable version that allows you to insert your school's picture day date. The other generic flyer can be used to accompany other forms of communication you may use in your school. You are welcome to use these versions of our logo however you need to help communicate with your families! This Guide contains information on what to wear, how we work—and much more. 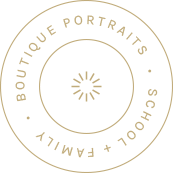 A great resource to share with families any time before picture day!